This is a scalable context timeline. It contains events related to the event March 14, 2001: Secretary of Defense Rumsfeld Sends Members of the Joint Chiefs of Staff a Book Excerpt about the Attack on Pearl Harbor. You can narrow or broaden the context of this timeline by adjusting the zoom level. The lower the scale, the more relevant the items on average will be, while the higher the scale, the less relevant the items, on average, will be. 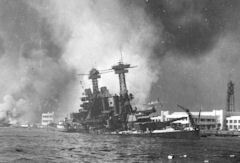 At his confirmation hearing before the Senate Armed Services Committee, Secretary of Defense-designate Donald Rumsfeld warns of the danger of a surprise attack like Pearl Harbor happening again. He testifies, “We all know that history is filled with instances where people were surprised. There were plenty of signals, plenty of warnings, plenty of cautions. But they weren’t taken aboard. They didn’t register. They weren’t sufficient to cause a person to act on those.” He continues, “We know that the thing that tends to register on people is fear, and we know that that tends to happen after there’s a Pearl Harbor, tends to happen after there’s a crisis. And that’s too late for us. We’ve got to be smarter than that. We’ve got to be wiser than that. We have to be more forward-looking.” As ABC News later comments, “eight months to the day after his warning of a surprise attack, Rumsfeld’s fears became reality with the Sept. 11, 2001 terrorist attacks.” [CNN, 1/11/2001; Scarborough, 2004, pp. 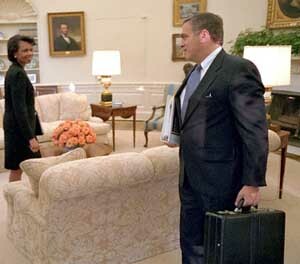 165-166; ABC News, 3/25/2004] Rumsfeld will again refer to the danger of military surprises four months later, during meetings with the House and Senate Armed Services Committees (see May 23-24, 2001). The CIA briefs Attorney General Ashcroft on the al-Qaeda threat. Several senior CIA Counterterrorist Center officials warn him that a significant attack is imminent, preparations for multiple attacks are in the late stages or already complete, and that little additional warning can be expected. He is told the attack is more likely to occur overseas than in the US. He was also briefed by the CIA on the al-Qaeda threat on May 15, 2001. [9/11 Commission, 7/24/2004, pp. 258-259, 534; Tenet, 2007, pp. 150] CIA Director Tenet will later claim in a book that at the end of the briefing, Ashcroft turned to some FBI personnel and asked them, “Why are they telling me this? Why am I not hearing this from you?” [Tenet, 2007, pp. 150] However, in fact, the FBI did brief Ashcroft for an hour an the al-Qaeda threat one week earlier (see June 28, 2001). One week later, the FBI will brief him again about the al-Qaeada threat and he will reportedly reply, “I do not want to hear about this anymore” (see July 12, 2001). By the end of July, he will stop flying commercial aircraft in the US (see July 26, 2001). 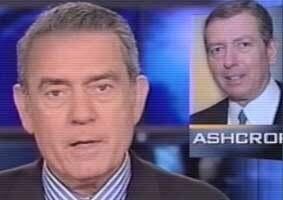 Dan Rather in July 2001 presenting the story about John Ashcroft. [Source: CBS via Banded Artists Productions]CBS News reports that Attorney General Ashcroft has stopped flying commercial airlines due to a threat assessment, but “neither the FBI nor the Justice Department… would identify [to CBS] what the threat was, when it was detected or who made it.” [CBS News, 7/26/2001] One newspaper reports, “Ashcroft demonstrated an amazing lack of curiosity when asked if he knew anything about the threat. ‘Frankly, I don’t,’ he told reporters.” [San Francisco Chronicle, 6/3/2002] It is later reported that he stopped flying in July based on threat assessments made on May 8 and June 19. In May 2002, it is claimed the threat assessment had nothing to do with al-Qaeda, but Ashcroft walked out of his office rather than answer questions about it. [Associated Press, 5/16/2002] The San Francisco Chronicle will later conclude, “The FBI obviously knew something was in the wind.… The FBI did advise Ashcroft to stay off commercial aircraft. The rest of us just had to take our chances.” [San Francisco Chronicle, 6/3/2002] CBS’s Dan Rather will later ask of this warning: “Why wasn’t it shared with the public at large?” [Washington Post, 5/27/2002] On July 5, the CIA had warned Ashcroft to expect multiple, imminent al-Qaeda attacks overseas (see July 5, 2001) and on July 12 the FBI warned him about the al-Qaeda threat within the US (see July 12, 2001).